Just a few days ago, Ford revealed the updated Mustang coupe. And now the American car maker has also brought in its more attractive looking drop top version. As expected, the changes that were launched in the coupe have also been introduced in the coupe. 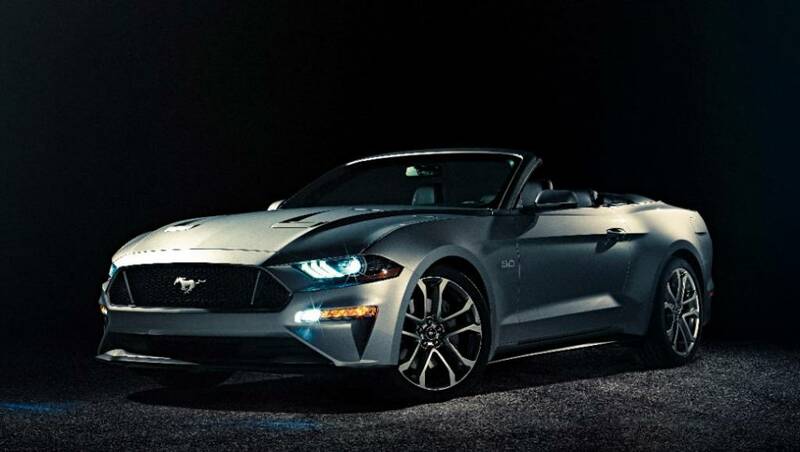 The 2018 Ford Mustang Convertible will be shown at regional auto shows in the United States before going on sale in September this year. 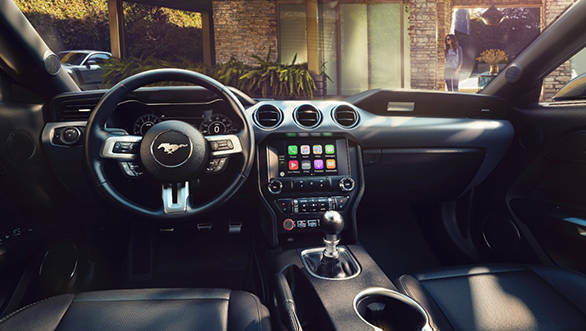 The cabin of the 2018 Ford Mustang Convertible is identical to that of the Coupe except for the unlimited headroom. This one too gets the new 12-inch all-digital LCD screen in the dashboard. Since the Convertible is positioned above the Coupe, it gets the individual memory function as standard. The feature allows customers to save their favourite drive settings, including suspension and steering preferences. 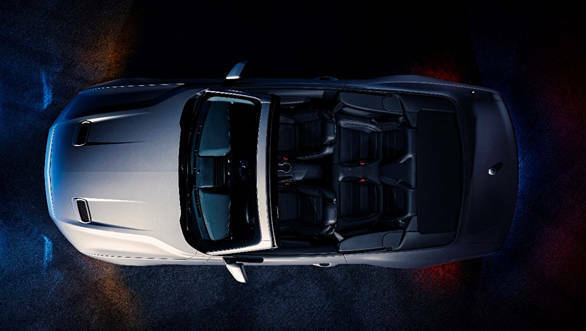 Pre-collision assist with pedestrian detection, distance alert, lane-departure warning, lane-keeping assist and driver alert system will be offered in the Convertible as well. The naturally aspirated 3.7-litre V6 that was offered in the base variants is a thing of the past. Ford now offers the 2018 Mustang with two engine options. The 2.3-litre 4-cylinder EcoBoost motor and the 5.0-litre V8, both have which have been tuned to deliver more performance and greater fuel efficiency. The exact numbers are still not out but looking at the past updates, we expect both the motors to have a higher state of tune. Both motors can be optioned with the new 10-speed automatic transmission that has been jointly developed by Ford and GM. The 2018 Ford Mustang Convertible, like the Coupe, will be manufactured at the company's Flat Rock Assembly plant. We did mention before that Ford India will bring the 2018 Mustang to India sometime next year. However, will it bring the Convertible too is something we need to wait for.